You heard it here, the Classic Root Beer Float is back! It seems like the Root Beer Float has lost it's "cool" over the years. With all of the great new recipes out there, sometimes we forget about the classics, like a Root Beer Float. 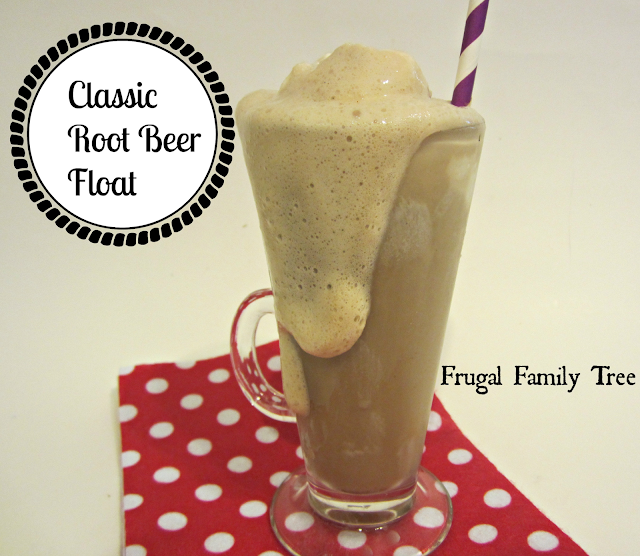 Here's a reminder of how to make and enjoy a Classic Root Beer Float. Scoop 2-3 or 4! spoonful's of ice cream in your glass. Slowly pour the Root Beer over your ice cream, watch as it foams. Add a spoon and a fun straw. *We always chill our Root Beer, when the Root Beer is chilled it tends to make little ice crystals out of the Root Beer. Yum.